Chase Goulding gives new owner Jay Haas a quick computer lesson. 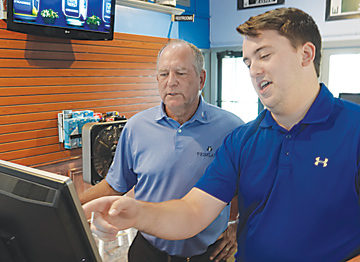 Jay Haas is trying to decide what job he will have as the 27 time PGA Tour winner and his family begin operations of The Eagle Zone, now Haas Family Golf. “I might work the register or drive the picker and let the people fire at me or give some lessons,” said the new owner. Haas, his sons Jay Jr. and Bill, brother-in-law Dillard Pruitt, PGA Hall of Fame professional John Gerring and several other investors purchased the range during the summer. The family part of the name is more important to Haas than having his name on the new signs. The driving range will be supervised by PGA Hall of Fame professional Jon Gerring who is part of the ownership group. “You can take Haas off and just have family golf because that is what we want this to be, a place for families,” he said. The two time Schwab Cup champion is convinced from his life experiences that there isn’t a better activity for youngsters than to be around the game. “I can get philosophical about what golf can do for everyone. It is a great game you can play for a lifetime,” he said. Haas, who is 64, expects to compete on the Champions Tour for a few more years, but knows his days as a competitive golfer are nearing an end. “I have a few more years left, not many, and this is close to my home and something that the entire family can be involved with in the coming years,” he said. The range, which has operated under a number of different names over the years, is where Haas brought his sons to practice when they were growing up. 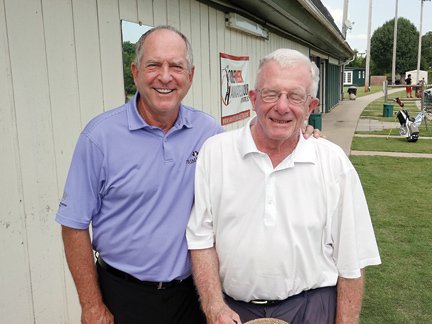 The range on Pelham Road has long been a place for the Haas family to practice and play. 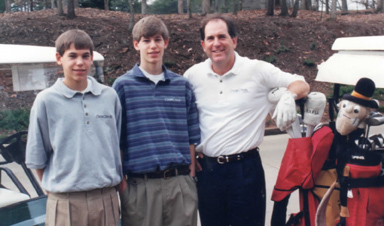 Haas has been bringing his sons Jay Jr. and Bill to the range for almost 30 years. “We played putt-putt and hit balls on the range. It was about 30 years ago, but I have fond memories of spending time here with the boys,” said Haas. Now with 10 young grand children, Haas can see a time when the next generation may have a future playing or helping at the range. 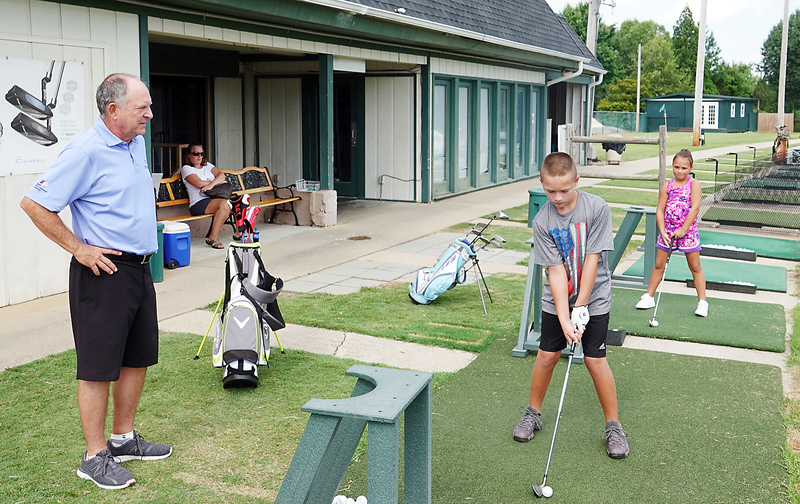 While Bill is in the middle of a successful Tour career, Jay Jr. has gone from playing to teaching and will supervise instruction at The Eagle Zone. “He really has a good eye and he has embraced his role as a teacher. He does not just teach one style, he works with his students and adjusts his instruction to their ability,” said Haas. In addition to Haas Jr., the Eagle Zone has a large staff of instructors with excellent credentials and experience. While Haas will not ba .a regular instructor at the range for now, he plans to be on hand to offer tips and an occasional lesson. “With the instructors we have on staff this is a great place to learn to play. We have the range, the instruction, the short game area and the ability to fit golfers with the right equipment,” he said. Haas and Gerring have been designing a plan to improve the facility and some of the improvements are starting to be put in place. The grass tee area has been improved and the range has been equipped with new mats and brand new range balls. “We all wish we could wiggle our nose and everything would be fixed, but it is going to take some time. We have made a lot of improvements that people don’t see. We will have a serious face lift here and we are going to make sure we give people what they want and deserve when they come here,” concluded Haas.